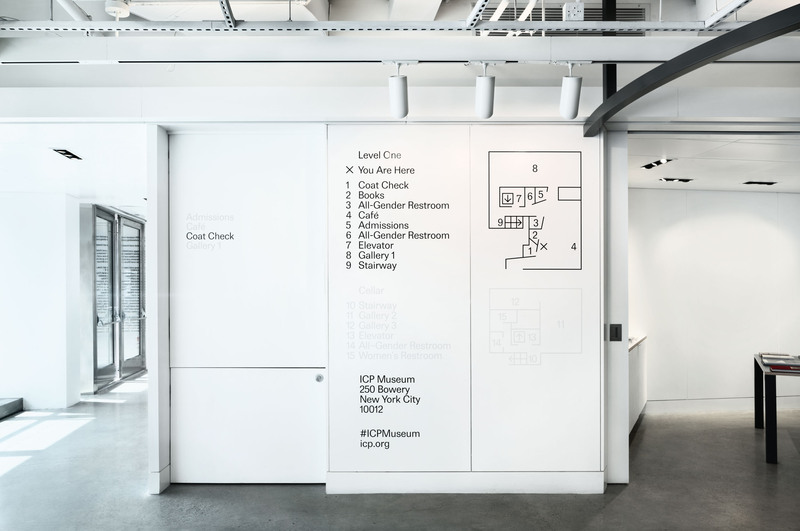 spatial identity and graphic signage for the new international center of photography museum (in collaboration with geoff han). 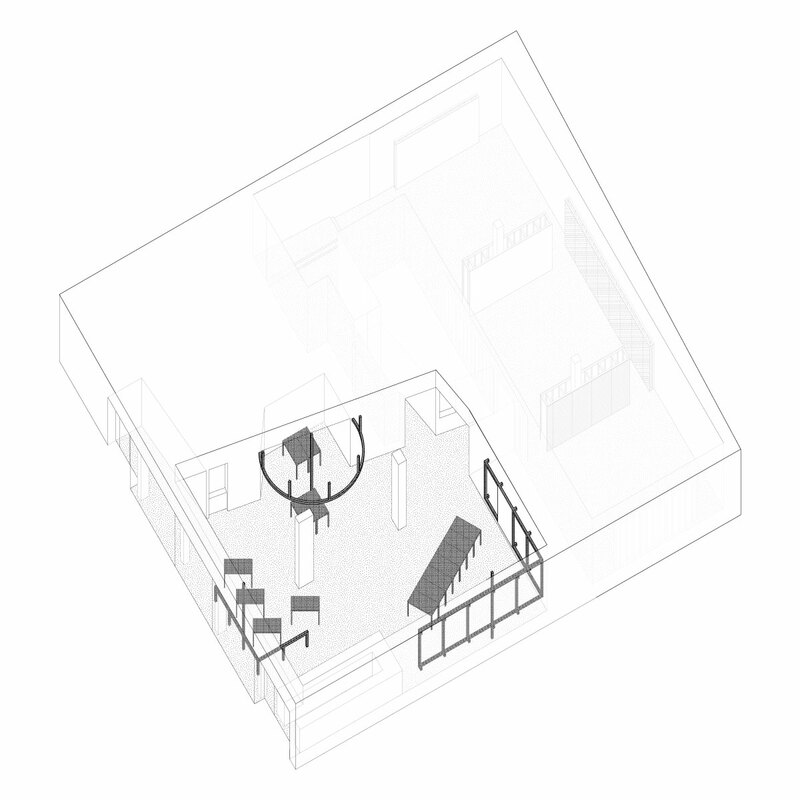 1 – axonometric of the icp common area. open to the public. 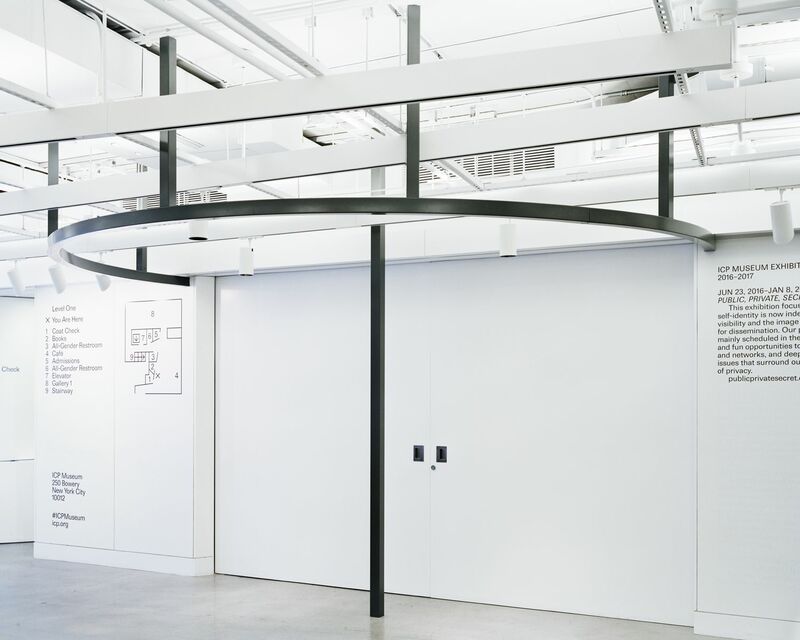 serves as the front of house to the exhibition spaces beyond. 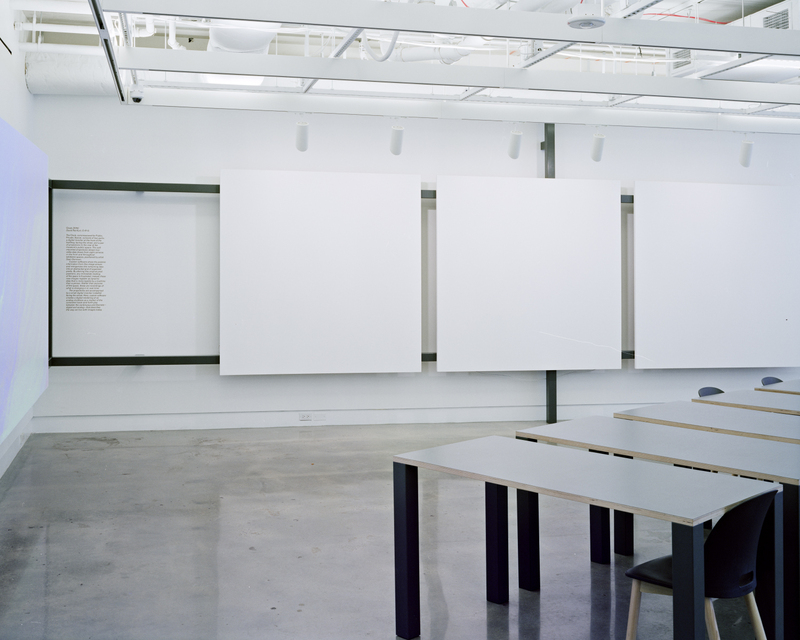 the icp museum has two types of spaces—a large street level common area and two white box galleries. 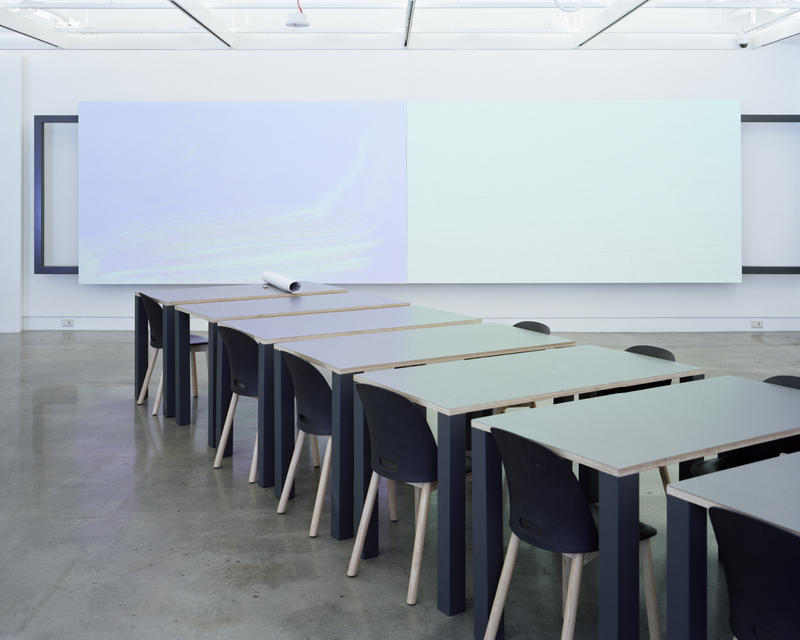 the common area is open to the public and serves as the front of house to the exhibition spaces beyond. a lightweight infrastructure of painted tubes was installed throughout the common area to identify the programs that overlap and share the lobby space: a ceiling mounted ring and central post establish an extended area for book display and sales; in the cafe a floor mounted rail for sitting and talking creates a place for casual encounter and also positions the ‘real time’ clock installation by david reinfurt; a wall mounted rail system provides a flexible substructure for hanging, viewing artwork and public presentations. 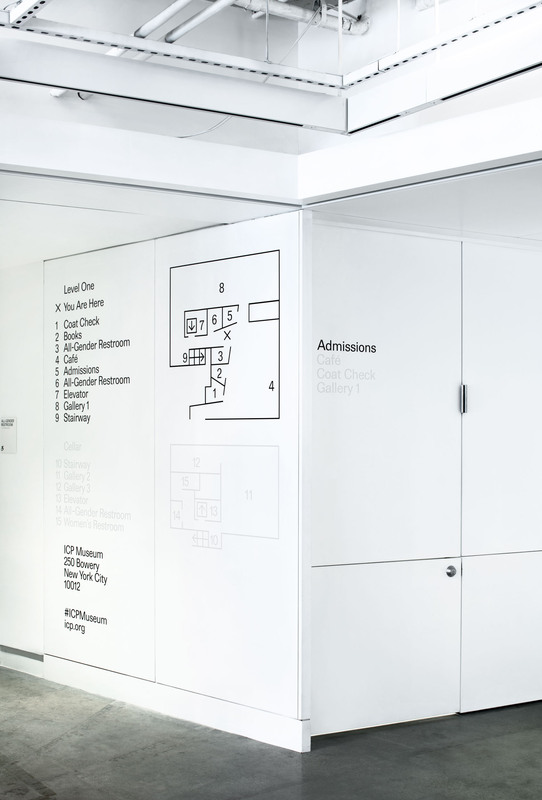 the system frames the large space of the common area while also defining more specific zones of program and activity. between and around the infrastructure an assortment of furniture created from the same aluminum tube material provides the tools for inhabiting the common museum area. 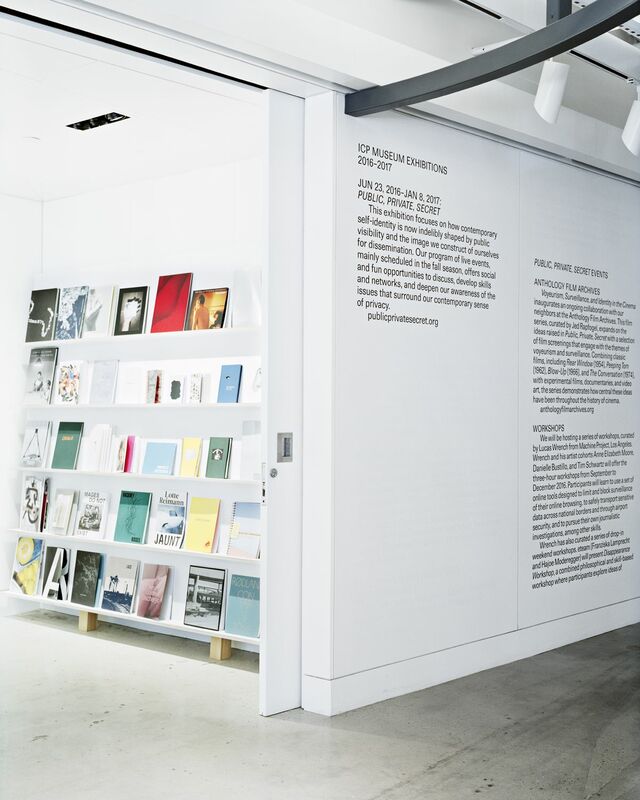 based on identity materials and printed matter from the icp’s archives, type designer laurenz brunner was commissioned to develop a custom digitization of icp permanent, the original typeface used when the icp was first established as the fund for concerned photography in 1966. for the graphic signage of the museum, black and white cut vinyl is placed on white-painted walls to present information at 2 levels of hierarchy. 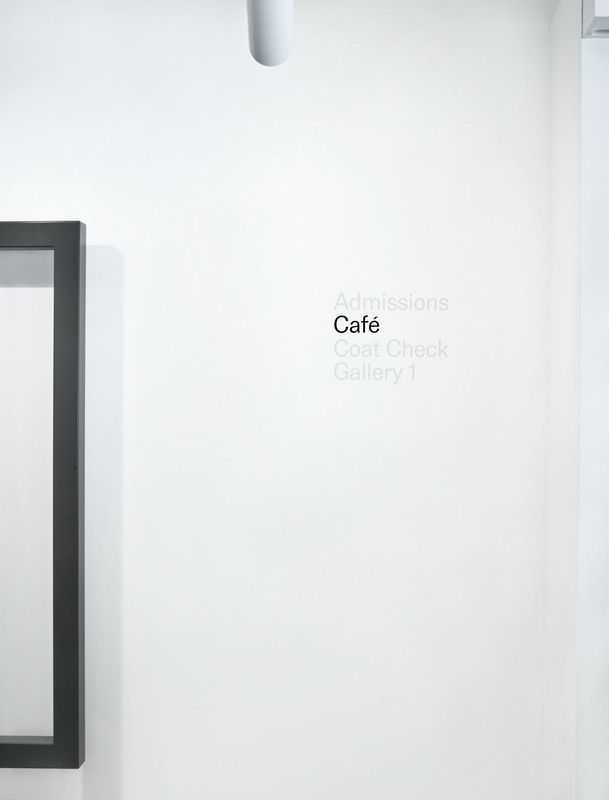 for all signage, legible black cut vinyl is used to mark information that is of primary importance while less legible white cut vinyl is used for information of secondary importance. 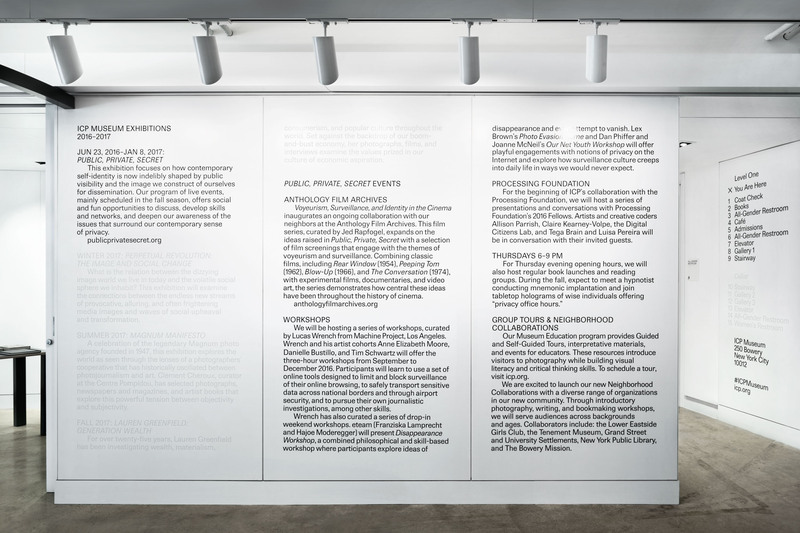 type is set large and information in the museum unfolds as the museum-goer navigates through the space. 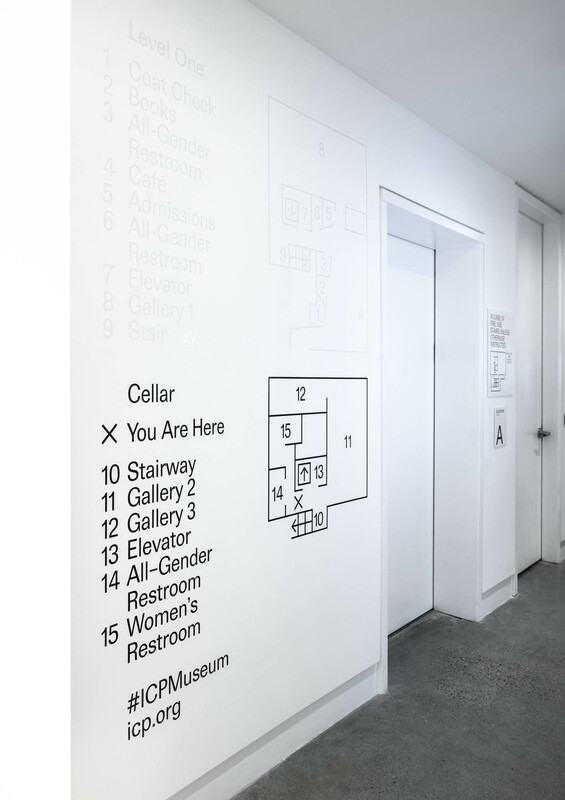 signage includes an entrance wall, wayfinding maps, locational markers, directional signage, a timeline of events, room signs and all tco signage.